Another music program took place at Urban Compass, which supports low-income children in Watts with programs to keep them safe. 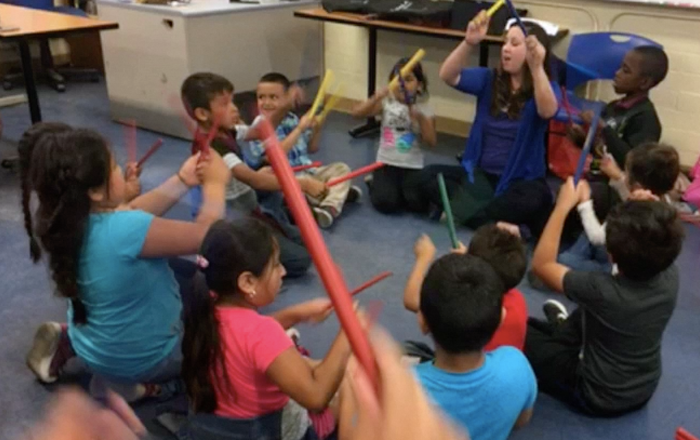 Create Now provided 20 pre-kinder children ages 3-5 with our Ready to Learn steady beat workshop, and they loved it! Thanks to the Jubilation Foundation and Tides Foundation for helping to make this program possible. Check out this short video about our Ready to Learn program at Urban Compass.